VC Panel Mod issues FSPS, ISG1 guages. Quote Reply Topic: VC Panel Mod issues FSPS, ISG1 guages. 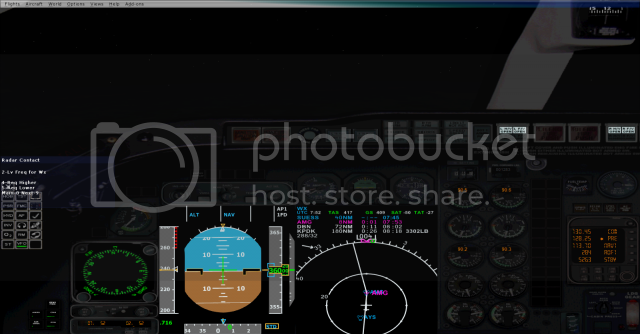 I have successfully installed Ernie's gauges in my VC using FSPS. However, I would like to stretch them so that they can be seen easier. 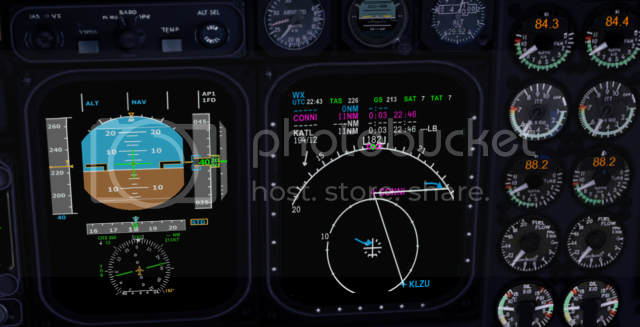 First, here is the 2D view and how the ISG1 A320 PFD should look. Now, for the VC part. To illustrate, I stretched this gauge more than normal but as you can see my left airspeed tape as well as my heading tape (bottom) disapears (at night). So there is only so far that I can stretch this guage. Now, I noticed that this only happens if I go outside the inner area where the original gauge resided. By that I mean, if you look here you can see a silver ring around the PFD and MFD. I cannot go out side of those areas. I did some research on guage placement and the idea of planars, but I rapidly got confused, lol. I even putzed with the VC bitmaps to see if it was merely a matter of changing the area where the guage could reside. But to no avail. 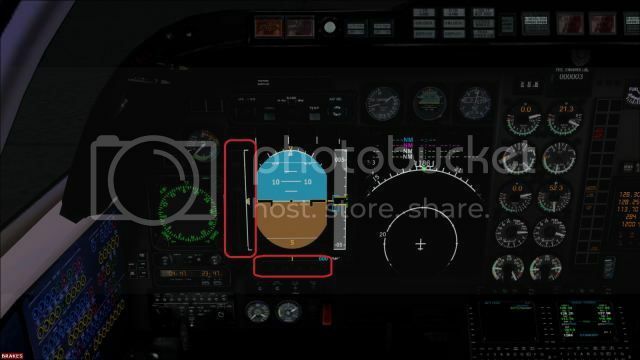 Is the area on the panel where the old PFD sat, a defined dimension? Or is it a matter of a background that could maybe be extended to allow me to stretch the PFD? Can I modify anything in the VC so as I can stretch my guage,(s) a little more for a better view of the PFD? Jet, in the VC the gauge polygons (the "projection screens") are fixed size in the compiled model. They can NOT be modified by anyone except the person who has the original modeling source file. ISG1 Gauges, in the VC. So I'll live with what I have. Which really is not bad.